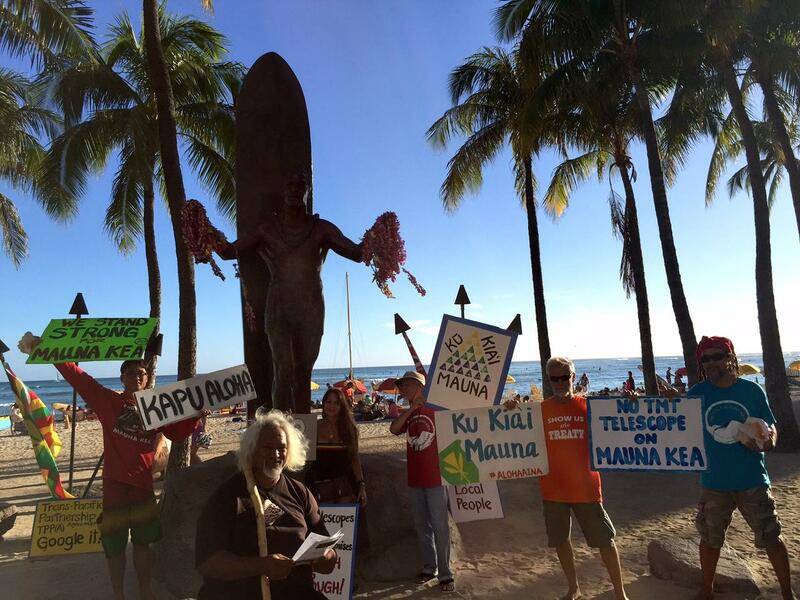 Mauna Kea "protectors" plan to sign wave at the Duke statue in Waikiki every Friday, explaining Kapu Aloha to visitors. 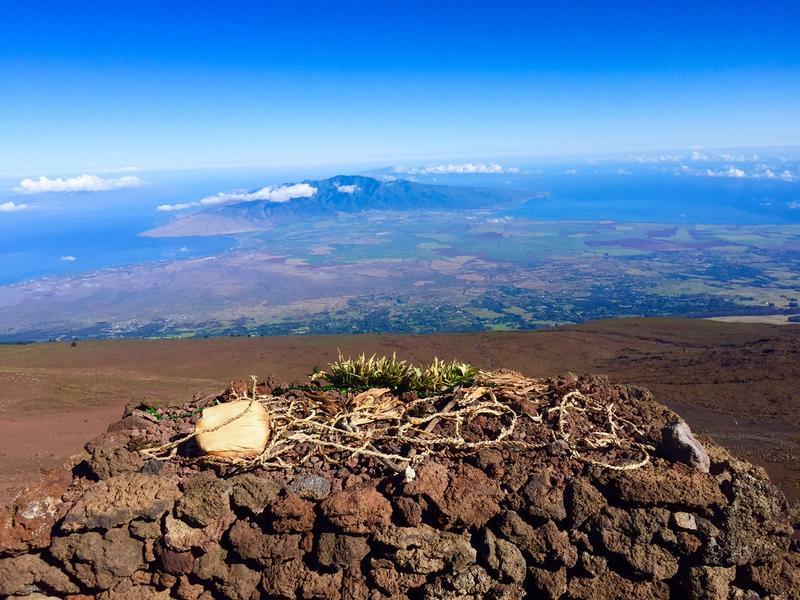 A discussion of Kapu Aloha, a term being used for the attitude and conduct of self-described protectors of Mauna Kea and Haleakalā. 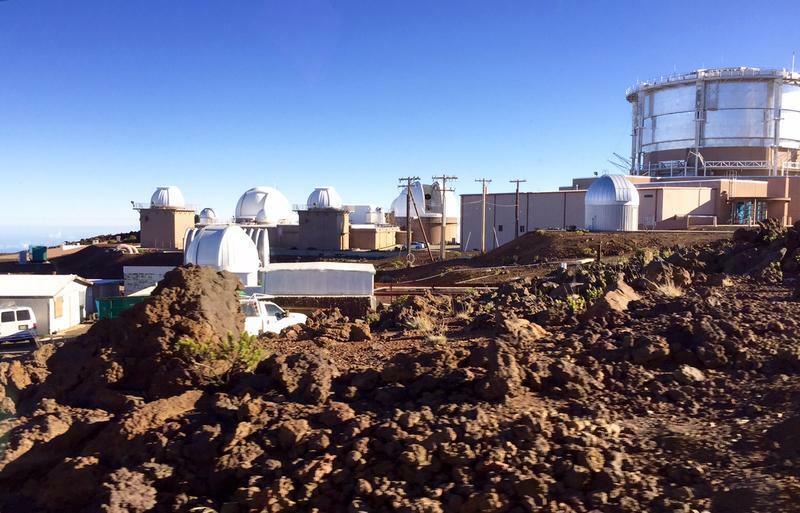 The term Kapu Aloha has emerged in varied contexts around recent struggles over Mauna Kea and Haleakalā. An attitude, a code of conduct, a spiritual space, this idea is credited with keeping the demonstrations as civil as they have been when emotions have peaked. Some feel Kapu Aloha is a link with other movements in history and around the world. This is the first of two stories attempting to understand this form of Hawaiian knowledge. Iokepa Alo is here on Kalākaua with a handful of others talking with visitors about the thirty Meter Telescope on Mauna Kea, among other things. Their goal, he says, is to share Kapu Aloha internationally. Luana Palapala Busby-Neff, long time Protect Kaho‘olawe ‘Ohana member says, Kapu Aloha was always practiced on that island for safety and out of respect. Cultural practitioner Pua Case has been practicing Kapu Aloha on Mauna Kea since 1993. Busby-Neff says Mauna Kea protesters, or protectors, as they call themselves, need to enter into Kapu Aloha. According to Pua Case, videos of arresting officers dialoguing, even apologizing, show Kapu Aloha at work. That’s scholar-practitioner Manu Aluli Meyer, who proposes Kapu Aloha as a problem solving approach. We’ll take a look at that next. Hear a deeper discussion of Kapu Aloha with international indigenous scholar/practitioner Manulani Aluli Meyer and Aloha ‘Āina and Protect Kaho‘olawe ‘Ohana member Luana Busby-Neff. The Board of Land and Natural Resources voted 5-2 to approve an emergency rule that would restrict access on Mauna Kea and forbid camping materials. State officials made the decision after more than 8 hours of public testimony. HPR’s Molly Solomon was there and has this report. The recent Scottish independence vote, with all its color and emotion, came after over 400 years in the British commonwealth. Many Hawaiians followed the Scottish vote with interest, knowing that Department of the Interior hearings here indicate emotions do still run high over US actions in Hawai‘i just over 100 years ago. In HPR’s continuing exploration of voices on Hawaiian sovereignty, Noe Tanigawa spoke with Lilikala Kame'eleihiwa, the Director of the Center for Hawaiian Studies.